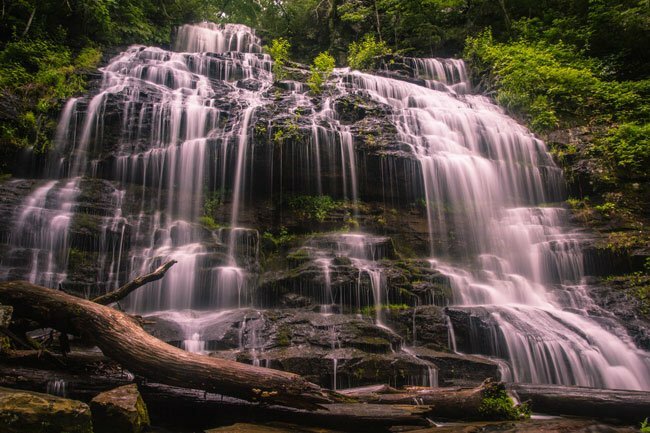 An easy half-mile hike leads to this spectacular 60-foot waterfall, formed by the headwaters of Station Cove Creek. It is located next to Oconee Station State Historic Site in Oconee County. The trail to reach Station Creek Falls runs through the Sumter National Forest and features native wildflowers in the spring. 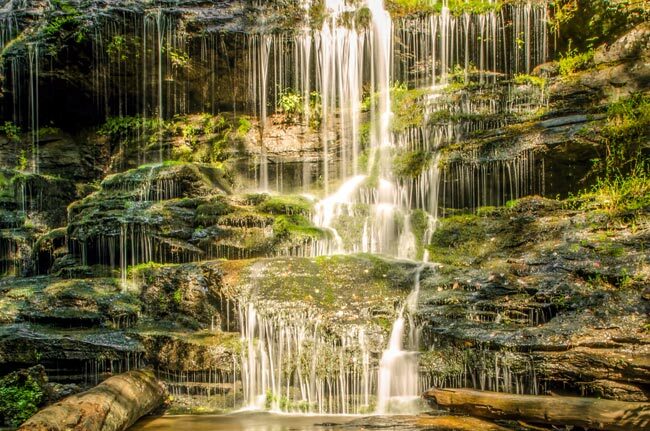 Like almost all waterfalls in South Carolina, it is important to visit this one after a good rain! This is a great waterfall for the whole family – including your dog! It is the perfect spot to wade in the water and enjoy a picnic on the rocks. 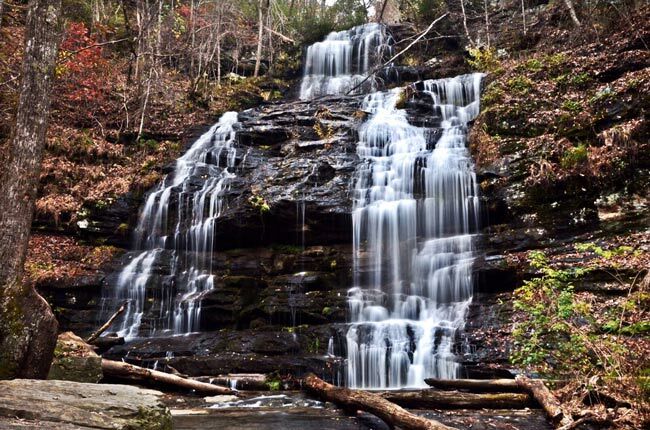 If you have any tips about visiting Station Cove Falls, please feel add them here or include them in the comments below. Thank you and happy hiking! Me and my soon to be husband would like to get married here. Is that possible?